About Company : Every day we wake up to the fact that more than 250 million lives are part of our family called LIC.Though this journey started over five decades ago, we are still conscious of the fact that, while insurance may be a business for us, being part of millions of lives every day for the past 52 years has been a process called TRUST. About Company : SBI Life Insurance is a joint venture between State Bank of India and BNP Paribas Cardif. SBI owns 74% of the total capital and BNP Paribas Cardif the remaining 26%. SBI Life Insurance has an authorized capital of Rs. 2,000 crores and a paid up capital of Rs 1,000 crores. About Company : Birla Sun Life Insurance Company Limited (BSLI) is a joint venture between the Aditya Birla Group, a well known Indian conglomerate and Sun Life Financial Inc, one of the leading international financial services organizations from Canada. With an experience of over a decade, BSLI has contributed to the growth and development of the Indian life insurance industry and currently is one of the leading life insurance companies in the country. .
About Company : Few men in history have made as dramatic a contribution to their country's economic progress as did the founder of Reliance, Shri. Dhirubhai H. Ambani. Fewer still have left behind a legacy that is more enduring and timeless. About Company : ICICI Prudential Life Insurance Company is a joint venture between ICICI Bank, a premier financial powerhouse, and Prudential plc, a leading international financial services group headquartered in the United Kingdom. 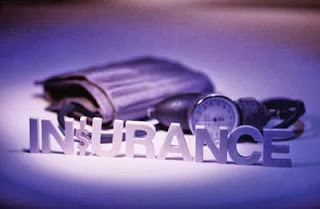 ICICI Prudential was amongst the first private sector insurance companies to begin operations in December 2000 after receiving approval from Insurance Regulatory Development Authority (IRDA). About Company : Tata AIG General Insurance Company Limited (Tata AIG General) is a joint venture company, formed by the Tata Group and American International Group, Inc. (AIG). Tata AIG General combines the Tata Group's pre-eminent leadership position in India and AIG's global presence as the world's leading international insurance and financial services organization. About Company : ING Vysya Life Insurance Company Limited is an established life insurance company with over a decade of experience serving over I million customers in over 200 cities in India. Headquartered in Bangalore, ING Vysya Life Insurance Company Limited is 100% owned by Exide Industries Limited. About Company : It is a private Insurance company offers many insurance plan & policies including ULIP, pension plans and term Insurance.. Address : Bajaj Allianz General Insurance Company Ltd.GE Plaza, Airport Road, Yerawada,Pune 411 006. About Company : HDFC Life is one of India’s respected long-term life insurance solutions provider offering a range of individual and group insurance solutions that meet various customer needs such as Protection, Pension, Savings & Investment and Health, along with Children’s & Women’s Plans.